Clock function: The time display format can be switched freely between 12/24 hours. 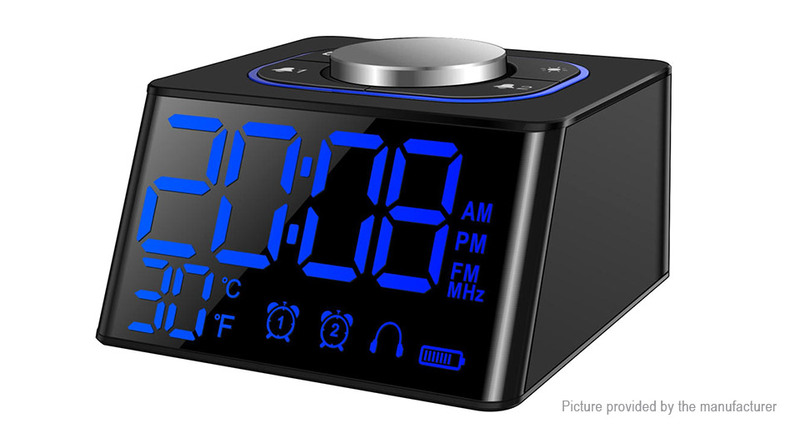 Alarm function: Two long-term alarm clocks can be set, and 27 kinds of chords can be configured, and the ring tone can be freely selected. Mobile phone charging function: Dual USB charging, providing 1A / 2A two charging ports. Radio function: Analog digital FM radio. LED screen function: 3 gear positions, you can freely adjust the screen brightness. Temperature detection function: Free switching between Celsius and Fahrenheit.